Whether you need an idea for Valentine’s Day or for any date night this year, we’ve paired fun activities with dinner and drinks nearby! Make a reservation at the cozy and welcoming Whitney House in Old Worthington and enjoy creative takes on classic comfort dishes. 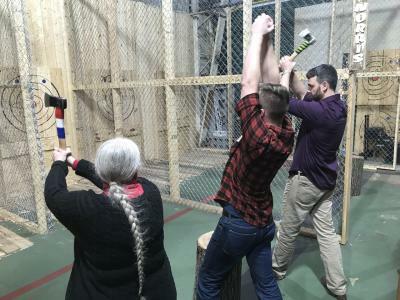 Then head to Columbus Axe Throwing, where you’ll learn to aim axes at a target – much like playing darts! Enjoy the banter of the axe-throwing coaches and relish the healthy competition while you try to score points. Afterwards, visit the Zaftig Brewing taproom to sample their big IPAs, stouts, and barrel-aged specialties. Visit Veritas in the old Citizens Bank building downtown; Veritas recently made the move from Delaware, bringing their innovative menu and cocktail service to downtown Columbus. Pre-game at the cocktail bar upstairs in the old bank lobby. Try to book the chef’s table next to the kitchen and let the culinary team guide you through the tasting menu. Afterwards, take a stroll along the Scioto Mile to catch the sunset and the city skyline. Plan a date in Olde Towne East! Warm up with some pub grab at the Tavern Olde Towne, then slip into Camelot Cellars for a glass or two of wine. If wine isn’t your preference, head across the street to Yellow Brick Pizza to sample their craft beer collection, and stop upstairs to play vintage arcade games at Arcade Super Awesome. 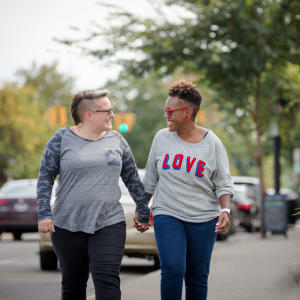 There’s no shortage of date ideas in Short North! Visit Hubbard Grille for burgers or fried chicken, then stroll down to the Candle Lab and make your own candle from over 120 scents. While your candles are driving, enjoy a glass of vino at Wine on High. Spend an evening in Old Worthington. 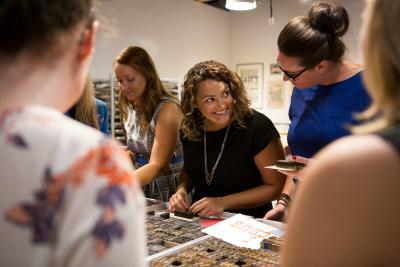 Sign up to learn how to operate decades-old vintage printing equipment at Igloo Letterpress, and create your own coasters, cards, and posters. Visit the gift shop to see local artists’ and crafters’ work, and afterwards sample wines across the street at House Wine. It’s hard to beat dinner and a movie! The Crest is known for their upscale pub fare, creative cocktails, and solid beer selection. After dinner and drinks there, catch the latest feature at Studio 35, a neighborhood movie theatre operating for over 75 years. Grab a bucket of popcorn (pro-tip: add M&Ms) and choose from over 40 beers on tap. What about dinner and a show? Make reservations for dinner at Rockmill Tavern in the Brewery District. After you’ve enjoyed their Belgian-style beers and a dinner of pastas, tavern burgers, and spicy chicken sandwiches, walk next door to Shadowbox Live. Shadowbox creates their own rock-and-roll and sketch comedy shows that are sure to entertain. Pair a stroll in the park with dinner! 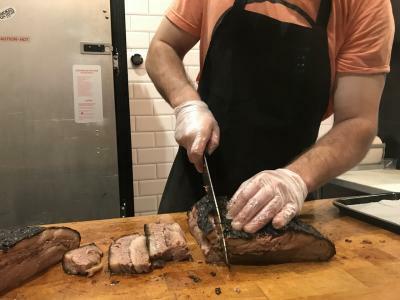 Enjoy pub fare at Brick American Kitchen or Texas-style barbecue from Smoked on High (located in a renovated Victorian house), and afterwards walk the paths of the Scioto Audubon Park. Make a night of it in German Village! Make a reservation at perennial favorite Lindey’s or newcomer South Village Grille. If the weather’s nice, walk around beautiful Schiller Park in the center of the historic neighborhood. Browse the shelves at the Book Loft and begin planning your summer reading list. Delaware is a short drive from Columbus, and the quaint downtown offers a variety of food and drink options. 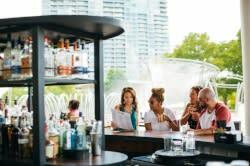 Enjoy the large craft beer selection paired with creative small plates at 1808 American Bistro, and afterwards stroll down the street to sample craft beers from family-owned Staas Brewing.